I'm a little late posting about this here, but if you haven't heard, the Pookies pattern is now available through Knit Picks. Overall, it's the same as the version I released on Ravelry, with just some added instructions for knitters who may not be familiar with my patterns. Most of the extra tips etc. can be found here through my hints and tutorials. Working with the Knit Picks Independent Designer Program was a great experience, and I would love to work on more patterns with them! However, at the moment my life is full of feeding a chubby baby, keeping up with a busy toddler, tending a growing garden, planning a long vacation to my family in BC, and many other things. Sadly, knitting has fallen far down on my list of priorities. However, we should be back here more regularly at the end of the summer, when I hope to share all these fun experiences with you. And, who know, maybe even a cute toy or two! Posted by Barbara Prime at 2:55 p.m. They are so cute. Thanks for releasing them. I did catch them on knit picks. I know what you mean about real life getting in the way of our knitting =P I hope you do find time to relax and knit. May 23, 2011 at 3:52 p.m. 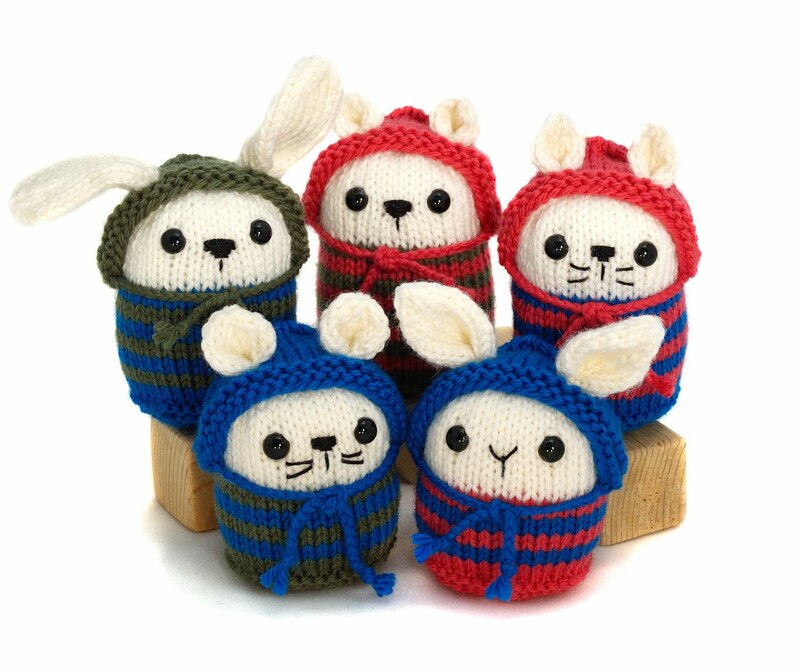 I just got this pattern from Knit Picks. They are so adorable! May 24, 2011 at 12:41 p.m.
Ah, but summer is for splashing and running. Autumn is the right time for sitting with needles, and sighing as the world cools around you. May 24, 2011 at 5:33 p.m. 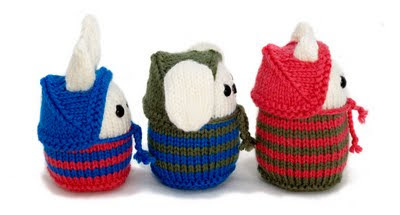 I ordered your Pookies pattern from Ravelry as soon as I saw them! I am a brand new knitter, and am now starting my 5th Pookie! My kids (9 & 5) sleep with them and absolutely adore them. They keep asking me to make them more using different colour combinations. They are getting better each time. :) Thanks for sharing! May 25, 2011 at 7:52 a.m.